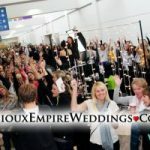 Just in case you missed some of the fun at the Sioux Empire Wedding Network Showcase on November 13th at Sioux Falls Convention Center… Here’s a little recap from Energy Event Group team! We would like to thank all the brides and everyone that attended with them and also to all the amazing wedding vendors for sharing this day with the them! Mark your calendars! 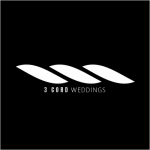 Our next BIG Winter Wedding Showcase is February 19th at the Sioux Falls Convention Center! This is an exclusive boutique styled wedding showcase and will feature some of the BEST wedding professionals in the Sioux Empire!! Don’t forget to pre-register today! LIKE, SHARE and COMMENT your wedding date for a change at FREE tickets! There will live hair and makeup demos by Platinum Imagination Hair and Makeup! We will provide delicious breakfast muffins from Taylor’d Cakeswhile you are inspired! Sponsored by The Flower Mill – Sioux Falls, Bridal Gallery Sioux Falls, Celebrity China, Halberstadt’s Men’s Clothiers, Simply Devine Weddings and Events, Taylor’d Cakes, Platinum Imagination Hair and Makeup, Sioux Falls Convention Center and Energy Event Group.